Taco Salad Bowls with Creamy Avocado Dressing are the perfect way to enjoy a taco and salad all in one. 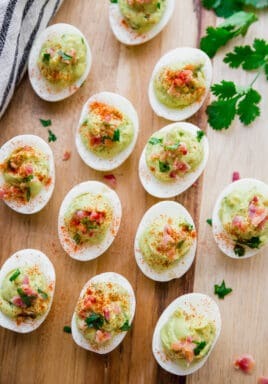 Loaded with all the fixings and topped with a delicious Creamy Avocado Dressing. 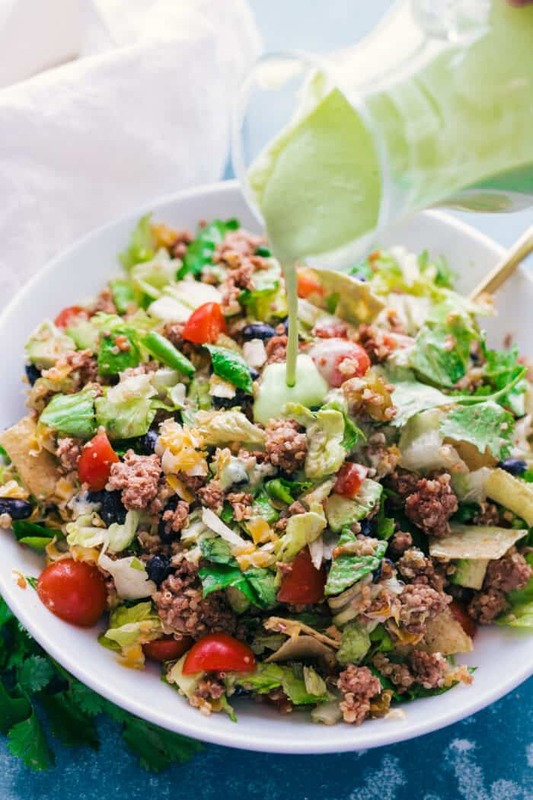 Taco Salad Bowls with Creamy Avocado Dressing make a great weeknight meal for your whole family. I love tacos, and further more I love having a Taco bar because that way your guest can customize how they like their tacos. So why not add Taco Salad Bowls into the mix? One of my favorite things to do is omit the actual taco salad shell and break up pieces of my favorite tortilla chips and mix it into my salad to get that salty crunch. But nothing can beat this Creamy Avocado Dressing. How do you make creamy avocado dressing? This dressing can be made ahead and kept in the refrigerator until ready to use. Blend/process all ingredients together until smooth and creamy and set aside until ready to serve. You can put anything you want into a taco salad, even your tortilla chips. Everything gets mixed up and the dressing is like the icing on the cake. It brings all the flavors together into one big bowl of deliciousness. 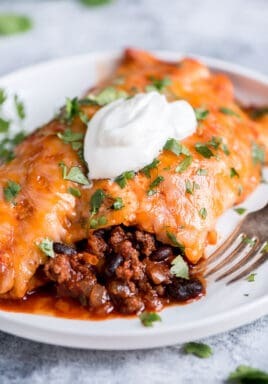 I love using ground beef mixed with quiona or Fajita chicken, and then adding cheese, olives, black beans, avocados, hot sauce, tomatoes, and chips. 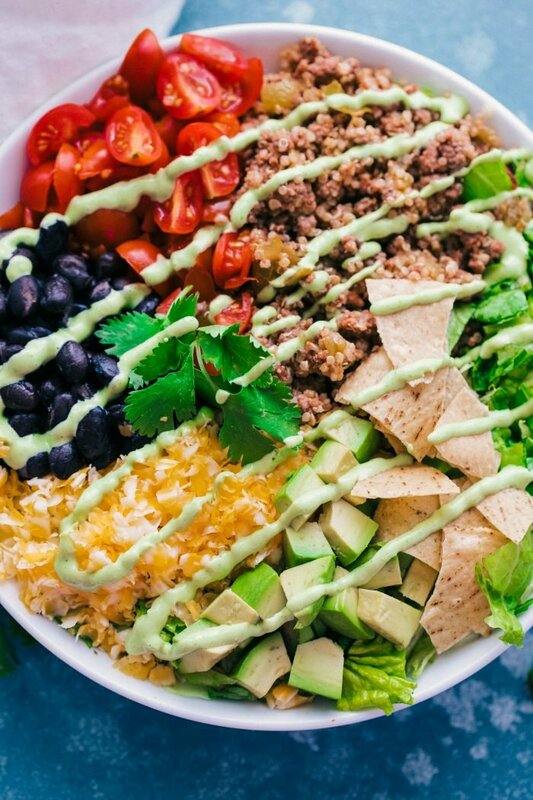 You really can’t go wrong when making Taco Salad Bowls with Creamy Avocado Dressing. Have you ever mixed quinoa in with your ground beef? Most often rice or Spanish rice gets used when making tacos, burritos or enchiladas, but quinoa is a great substitute for rice. 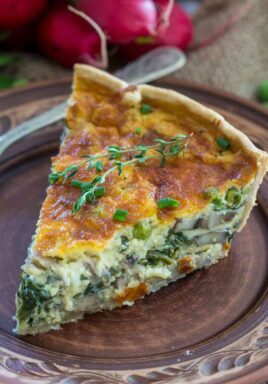 It gives the texture of the meat a little more substance and if you are adding anything else to your meat it helps bind it all together. Taco Salad Bowls are a fun and family approved meal among my house and I know they will be in yours. 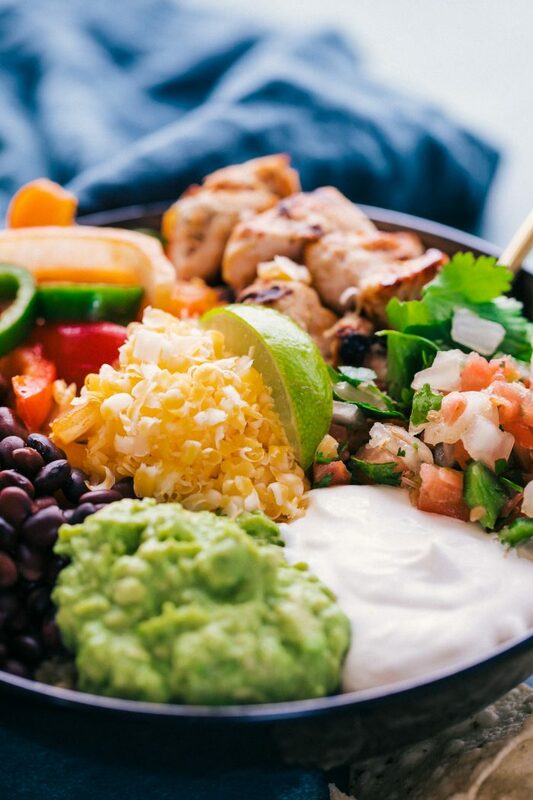 So turn your Taco Tuesday into a Taco Salad Bowl Tuesday and load up on all the good stuff that make our taco night worth every bite. 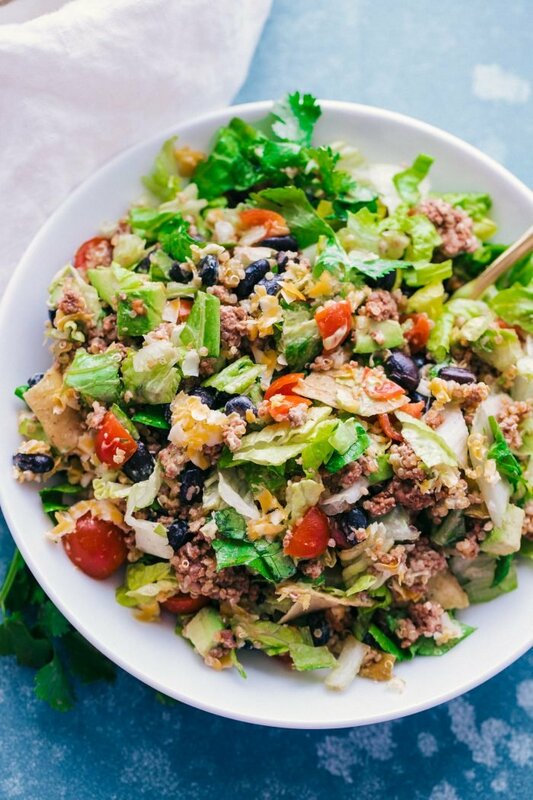 Everything you love about eating a taco made into one delicious salad. 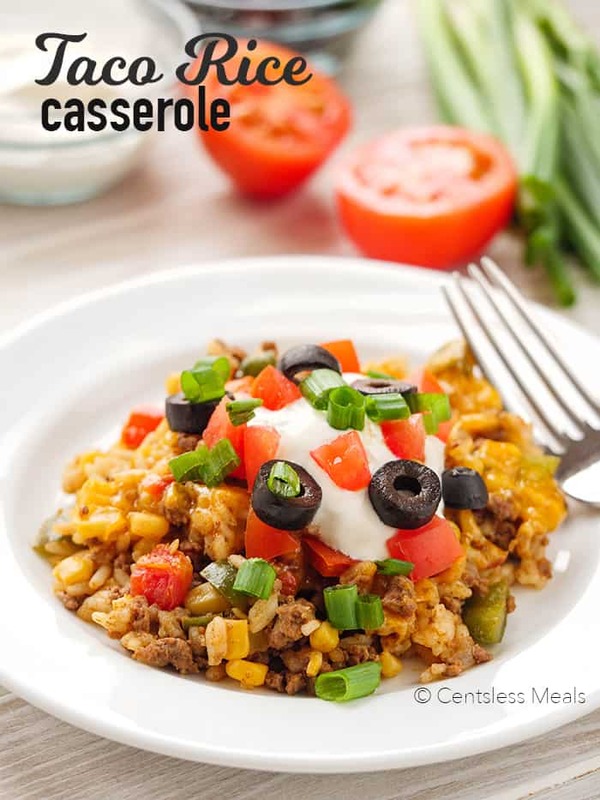 In a large skillet brown ground beef and season with taco seasoning. Add in green chilis and quinoa, mix until combined and heated thourgh. Set aside. 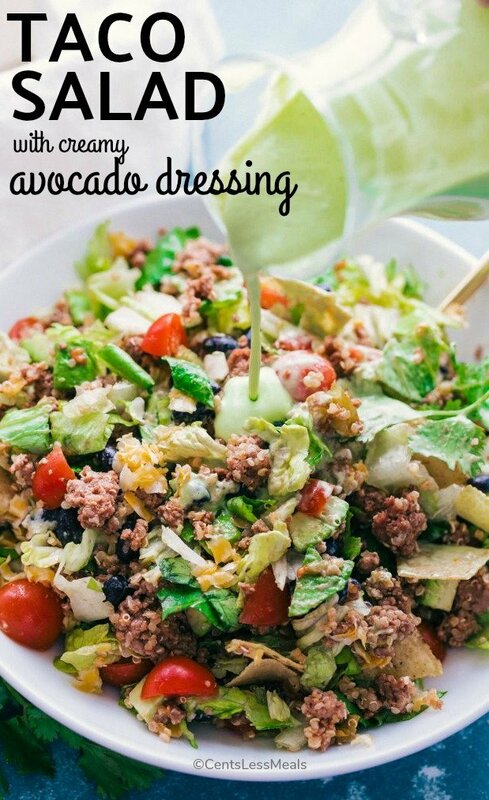 Make the dressing, by adding all the ingredients into a blender or food processor and blending until smooth. Slowly adding water until you have reached your desired consistency. 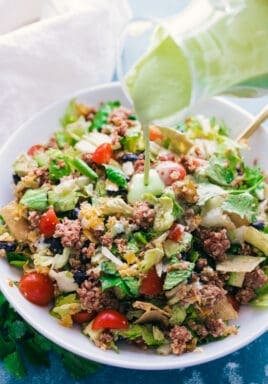 Place the beef mixture and the rest of the salad ingredients into a large bowl and mix. Add the salad dressing just before you are ready to serve and mix to combine. 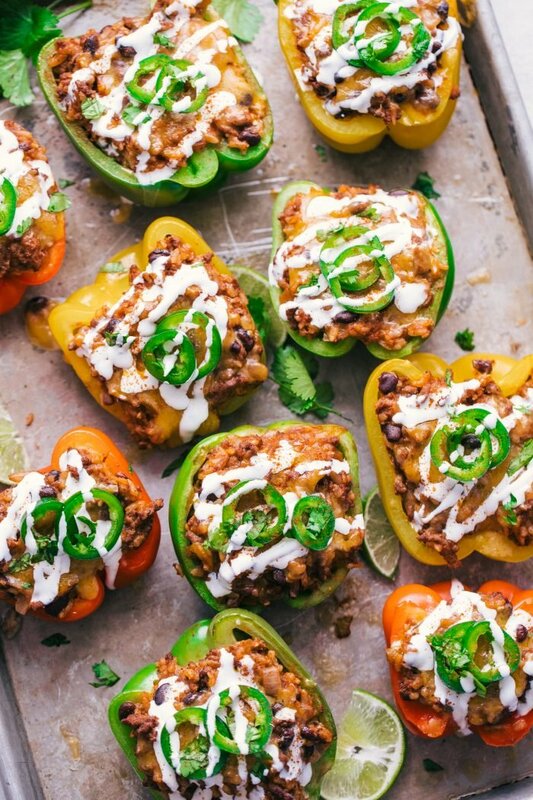 Serve with tortilla chips and garnish with hot sauce (optional).